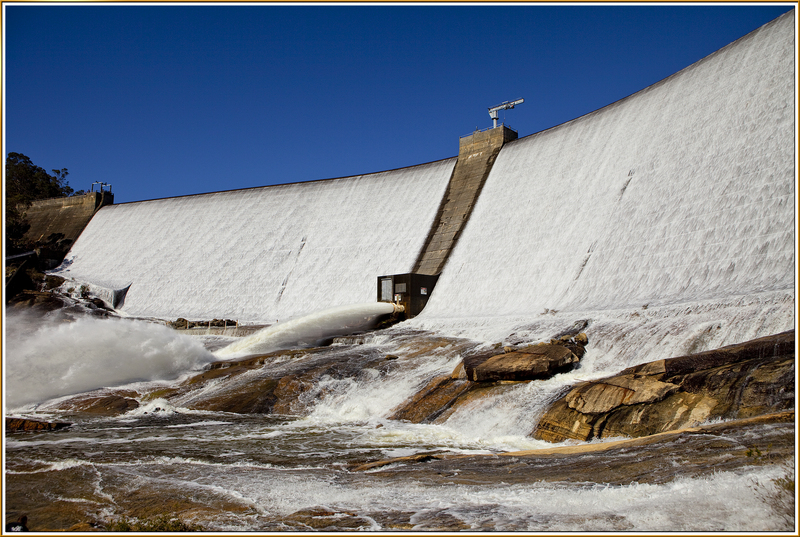 We called in and had a look at Wellington Dam going over on Sat , worth the visit. This would be an ideal pano job for the tilt shift lens I think, hard to get with a standard lens from this angle. 1 Would a tilt shift take the whole pano , right across the wall with no distortion. 2 Which of these shots do you prefer. Driving down the York Williams road late Friday evening and we shot past this guy . 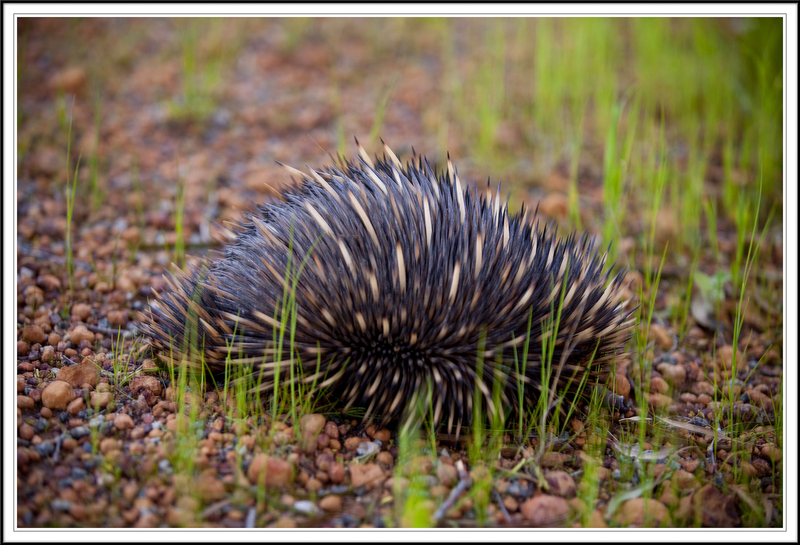 Only just managed to spot him on the side of the road and I wasn’t real sure that it was an echidna but I had to have a look. By the time I pulled up , turned around and went back he was almost gone. I had the 70-200 on and no time to change a lens as he wasn’t hanging around. I laid down on the side of the road next to him , it was hard to find a spot because there was a bit of water laying around. It was nearly dark so this is the best I could get in a hurry. When I’ve seen one of these in the past they have rolled up in a ball and stayed there for ages, but this guy just had one thing on his mind and that was to bolt to the nearest ant’s nest. Well we are away for the weekend chasing wildflowers for the Great Wildflower Challenge with Mark Stothard. Not sure which direction , north , east , south or west, but hopefully I ‘ll get what I’m looking for . This was shot last Saturday morning when Pete Hodgson ( well known local steel fabricator and builder of quality campers ) and I went on an early morning shoot over to York. We went up to the top of Mt Bakewell but were a little disappointed with what we got there. It wasn’t bad when we first arrived and I got this driving thru the farm on the way but then it started to mist and got a bit hazy. I shot what I thought were great pano’s of canola patterns looking down from the hill but I’m not that happy with them on the computer. I haven’t gone thru them all yet so if I find something I’ll post it later. Anyway it was a nice peaceful morning to sit back and take in the view from Mt Brown. The Great Boab v Blackboy Challenge. with Mark Stothard. After a bit of a jibe from Mark Stothard , well from me to Mark if the truth be known. The challenge was issued that I had a shot with more Blackboys in it than he had Boab trees in one of his shot’s. Well you the bloggers are to be the judges so count them if you can. There’s a lot riding on this so no taking sides ok. Now if Mark doesn’t post his shot then its a KO. So here’s my effort. I took this tonight in a howling gale so it might not be pin sharpe but it doesn’t have to be to win !!!! I went past a magnificent stand of Black Boys ( politicly incorrect I know ) the other day and I had to stop and take a look . It is almost a forest of them and I’ve never seen anything like it anywhere else. i was in a bit of a hurry so I snapped this trio who seemed to be keeping watch on all the others. Well I’ve been busted by Racing and Gaming for running an illegal comp, seems I didn’t have a permit. So there are no winner’s , no one gets a ride in that magnificent machine , but as they say everyone’s a winner here. For the record it was taken at 3 oclock in the afternoon and it was me weaving my magic in Photoshop that fooled several of you, and me as well cause I have no idea how I did that but I sort of like it. 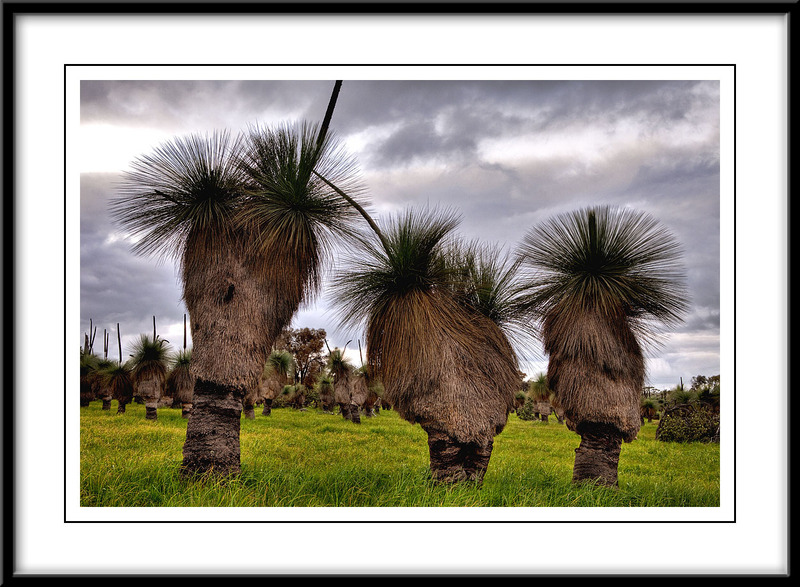 I did manage to win the CBH photo comp at the recent WA machinery field days with this shot. 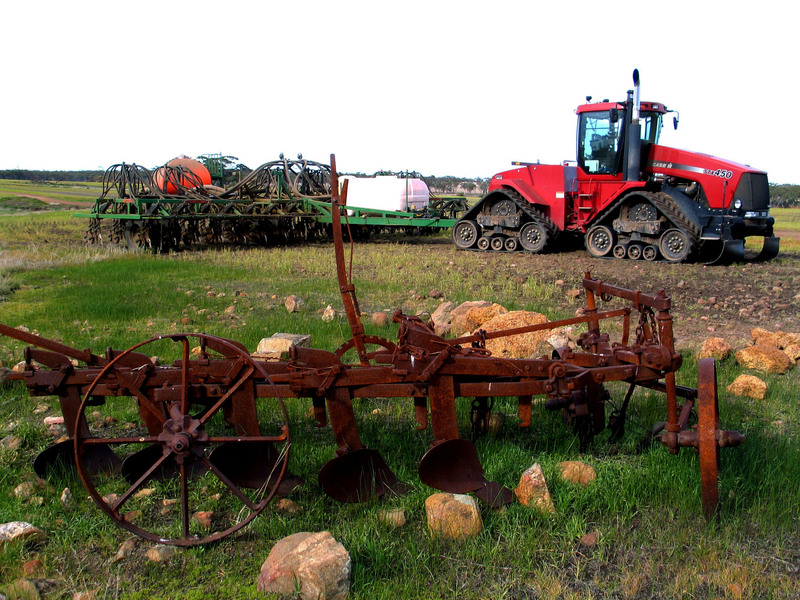 Bit of a joke really bcause it was taken 5 years ago on my old G5 point and shoot as a quick snap during seeding. I ran Christians Action over it to sharpen and saturate it , entered it and it won. Fits the theme I guess which was the progress of farming. This is not the shot that I entered , well it is but I did a little bit more work to that one , vignette etc , but I can’t find the actual image that went in, I think I might have scrapped it. Anyway it looked almost exactly like this. 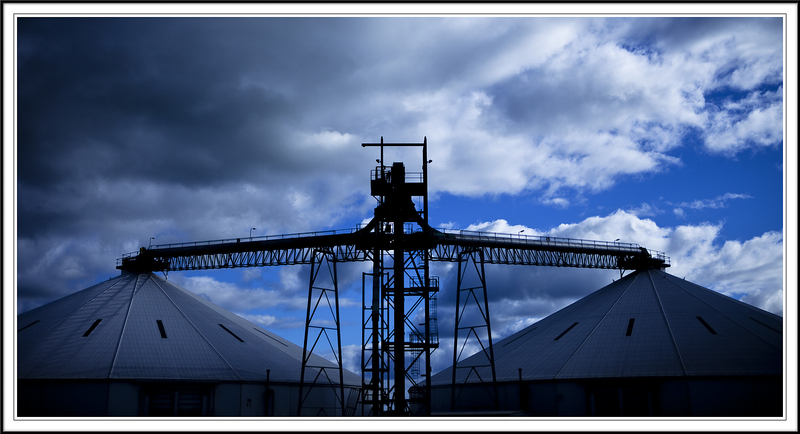 Were these grain silo’s shot in the middle of the night under a full moon or the middle of the day under full sun. The only hint is it was very cold. 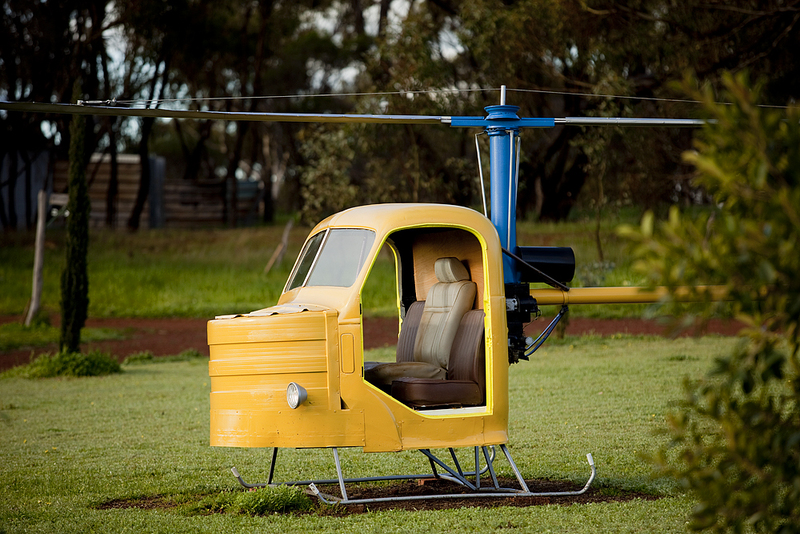 First prize is a ride in the new True North chopper on it’s maiden flight. Comments good and bad are welcome. It seems that if you are a landscape photographer and your not on a luxury cruise up north then you’re just not out there !!! 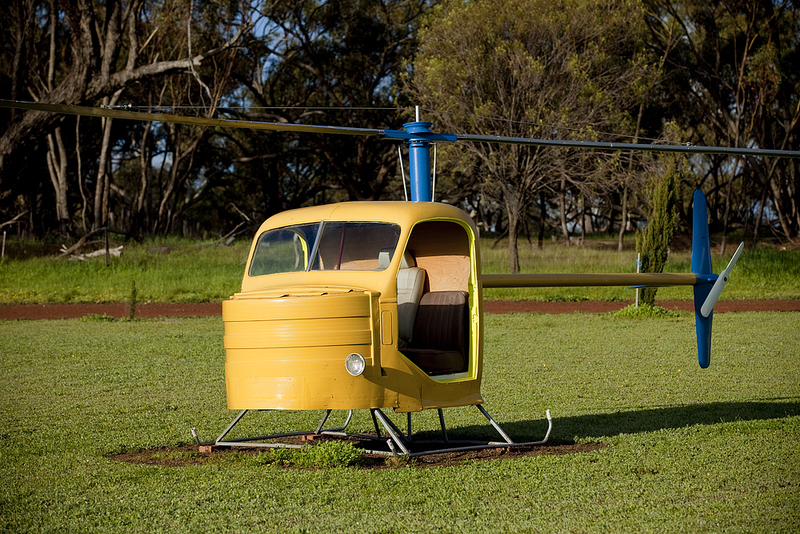 Well the cat is out of the bag, True North has a new Helicopter , TRUE NORTH OF THE AIR. These shots were taken at a secret location as testing was about to get under way , all they had to do was find someone to fly it. It has been designed with the landscape photographer in mind as can been seen here and no expense has been spared in the luxury department as well. It is hoped that the revolutionary machine will be used on PNG No.1 tour next year. A spokesperson said that the first flights will be available free. Is there no stopping the lengths that this company will go to to ensure that paying guests receive the very best ?